NAIROBI, Kenya (AP) — All the gunmen who staged a deadly attack on a luxury hotel and shopping complex in Nairobi were killed, Kenya's president said Wednesday, declaring an end to the brazen overnight siege that underscored the ability of al-Shabab extremists to strike despite military setbacks. Fourteen "innocent lives" were lost in the attack that began on Tuesday, President Uhuru Kenyatta said in a televised address to the nation. "We will seek out every person that was involved in the funding, planning and execution of this heinous act," Kenyatta vowed in announcing that the all-night operation by security forces to retake the DusitD2 complex was over. 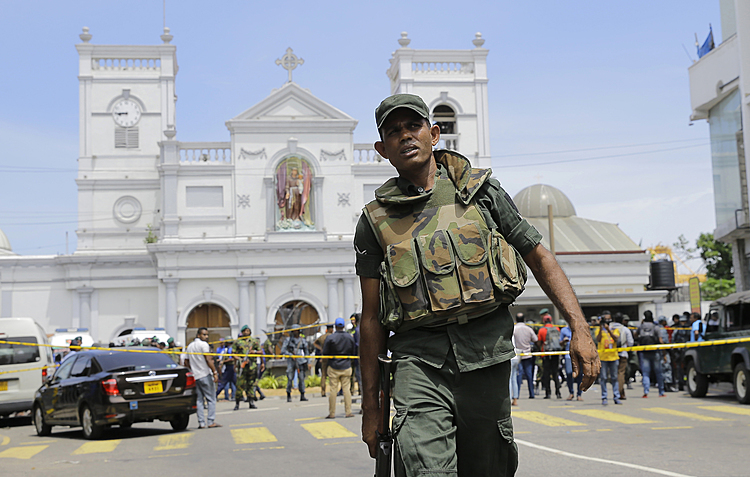 Security footage showed at least four heavily armed men in military-style garb took part in the attack, an assault marked by explosions and heavy gunfire. Kenyatta did not say how many attackers were involved, but "all the terrorists have been eliminated." Al-Shabab, which is based in Somalia and allied with al-Qaida, claimed responsibility. The Islamic extremist group also carried out the 2013 attack at Nairobi's nearby Westgate Mall that killed 67 people, and an assault on Kenya's Garissa University in 2015 that claimed 147 lives, mostly students. While U.S. airstrikes and African Union forces have degraded the group's ability to operate, it is still capable of carrying out spectacular acts of violence in retaliation for the Kenyan military's campaign against it in Somalia. The attacks in Kenya's capital appear designed to inflict maximum damage to the country's image of stability and its tourism industry, an important source of revenue. Kenyatta's announcement that the security operation was complete came about 20 hours after the first reports of the attack. Ken Njoroge, CEO of a company in the DustiD2 complex that offers mobile banking services, said he was unable to locate several employees. "It's very difficult for the families because the passage of time only makes the problem bigger," he said. 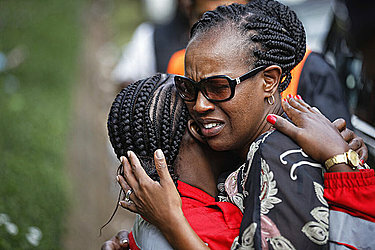 Most of the victims were believed to be Kenyan, though an American and a Briton were among the dead. San Francisco-based I-DEV International confirmed that the American was Jason Spindler, the company's co-founder and managing director. Jason Spindler's father, Joseph, said his son worked with international companies to form business partnerships in Kenya that would boost local economies. The Houston-raised Spindler had a brush with tragedy on 9/11: He was employed by a financial firm at the World Trade Center at the time of the 2001 terrorist attack but was running late that morning and was emerging from the subway when the first tower fell, according to his mother. He became covered in dust and debris as he tried to help others, Sarah Spindler told KTRK-TV in Houston. "It's a traumatic experience. It shakes you," he said. Still, Davis said he was impressed by the "inner strength" and compassion of people who helped each other in the midst of danger. His own thoughts, he said, were: "Get people out and get out yourself. That's it."